Do you ever think about how your beliefs attract to you what you desire? Have you been trying to get pregnant with no known reason as to why it hasn’t happened? 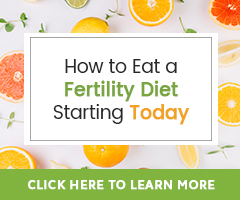 Have you been battling a fertility health issue with all of the tools you can find but still deal with a certain symptom, or the issue has yet to go away? If so, it may be time to check in with your beliefs. Natural therapies and the idea that the mind has a powerful influence on health are no strangers to controversy. We see, however that both are becoming more and more accepted as valid elements of many health programs, especially the programs of couples battling infertility. For some couples, allopathic medicine has failed to find a reason why they are not able to conceive. Their fertility treatments didn’t result in the desired outcome, have failed, or have become too expensive to even entertain the idea of trying. They begin seeking natural ways to support the body, so they can reach their fertility goals. Thankfully, they find us. When they find us, many still ask the question, “Does this really work?” I often have a hard time answering this question because I know I can’t just reply, “Yes! If you believe it will!” However, this answer is the truth! While I want you to trust me and take my word for it, it may help to hear it from our customers and clients who have shared their fertility success stories. A common theme resonates through each story – each person had faith in themselves and the ability of their bodies to be healthy. They believed in their natural fertility programs and that they deserved to achieve their goals. Are your beliefs dictating your fertility reality? Answering this question may take some quiet time for reflection. Grab a pencil and your fertility journal to help record your reflections. This will help you transform beliefs you learn are no longer serving you. Ask yourself these questions and jot down your answers (more than just a yes or no). Start each answer by thinking or writing, “I believe…” and then fill in your answer. Do you believe your body can heal? Do you believe your body is fertile? Do you believe the herbs, supplements, natural therapies, diet you eat, daily exercise, and stress-reduction techniques you are using are all helping your body? Do you believe you deserve to be a mother (or father) – a parent? Do you believe you have the power to change your reality? Do you believe you will overcome your infertility? Do you believe you will rid yourself of your fertility health issue? Do you believe you deserve to achieve your goals? Now, think about where each answer, each belief, comes from. Can you pinpoint the first time you thought about this belief or heard someone mention something like it to you? Next, do you agree with this belief? Do you think this belief serves you and your fertility goals? If you have found some beliefs that no longer serve you, now is the time to transform each of those beliefs into a truth that will serve you. There are many Mind and Body Therapies for Fertility to consider trying, although one very helpful way to transform beliefs is to create positive affirmations. If you believe the support you are offering your body, mind and spirit is effective, and if it makes you feel physically/emotionally/psychologically better, then it’s working! I believe you can see each change – big and small – your body is making to heal. I believe you will reach your fertility-health goals! I believe your time is now! Moving forward, think about the areas of your life in which you see evidence of the power of your beliefs. We would love to hear stories of how your beliefs have led you through your fertility journey! You are welcome to share them in the comments section below.